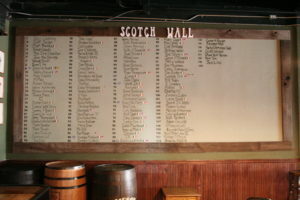 The Scotch Wall is one of the many features of Uptown Pubhouse that makes it a unique destination. After a decade, over 100 people have joined the ranks and are forever immortalized on the wall of the pub. The task is simple: complete a list of 70 hand-selected single-malt Scotch whiskeys and you win a free t-shirt. It is perhaps the most expensive free t-shirt anyone has ever won, but, even more importantly, those who persevere are also rewarded with a small piece of prime real estate next to some of Flagstaff’s most notable citizens. Not to mention the bragging rights, which alone are worth the task. 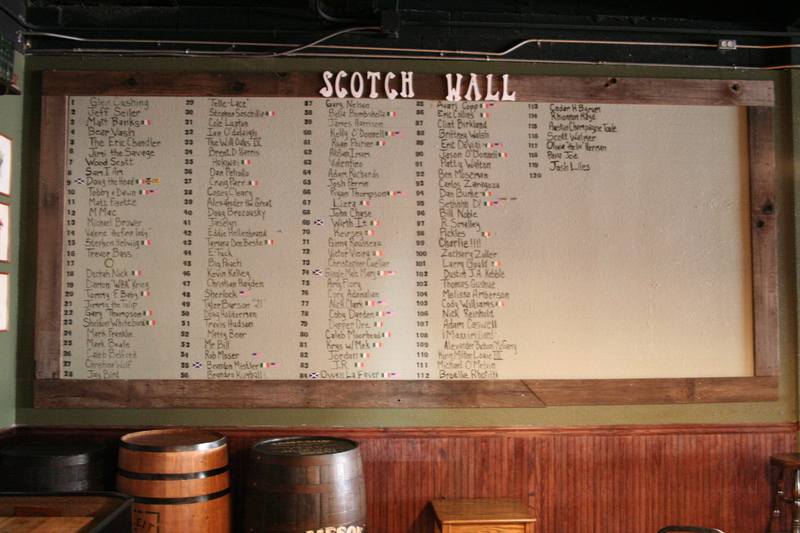 Whether you are a Scotch connoisseur or have never had a single-malt in your life, the Uptown Pubhouse Scotch Wall is a challenge unlike any other. Besides, what better way is there to spend the many cold and snowy Flagstaff nights than drinking Scotch among friends?